Easter means that soon, you will have an overabundance of boiled eggs. Once you peel off the pretty shells, you’ll be left with plain white eggs to make into deviled eggs or egg salad. 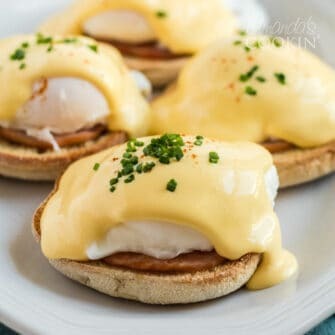 Instead of the boring route this year, make the edible eggs just as pretty as their outer shells! 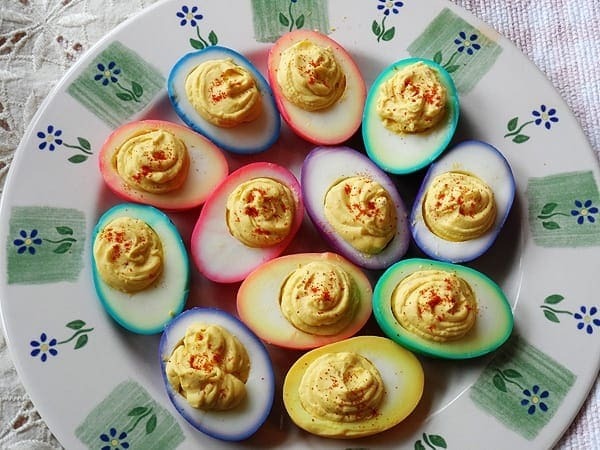 Use my instructions for coloring the yolks, use your favorite recipe for deviled eggs and/or egg salad for this pretty alternative. To get the instructions head over to my craft blog for these beautiful colored Easter eggs. Looks good setting on table. These are so adorable!! I agree with Erin, red and green ones at Christmas, or gold maybe. I can’t wait to try this!! 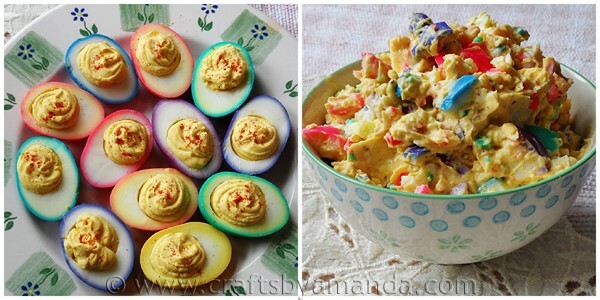 I am so making that egg salad! Seriously…the cutest ever!! I absolutely adore the colors. 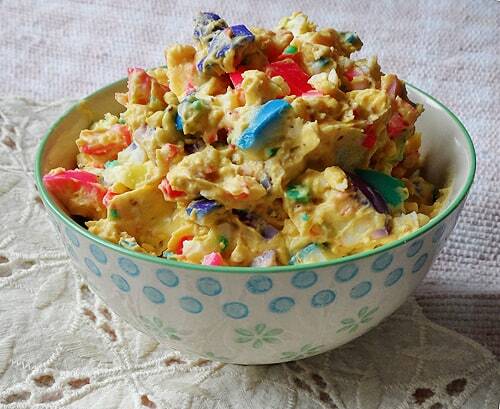 What a fun Easter dish! I love those eggs! Imagine all the festive color options for other holidays.